Fierce fun to get your blood racing! Track down a notorious hunter of the deep with this mini fact-file for underwater explorers. 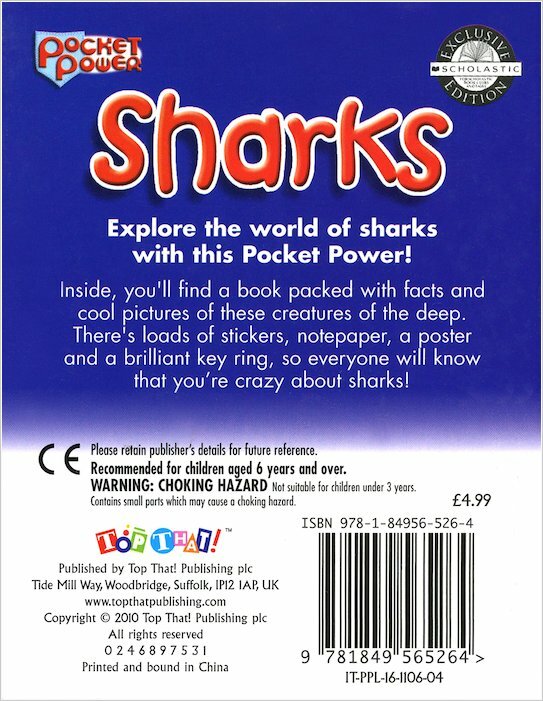 It’s got heaps of snappy facts about sharks of all varieties, sizes and appetites. Plus stickers, notepaper and a freaky poster to scare your friends and family with! There’s even a chunky metal shark keyring to keep in your pocket. 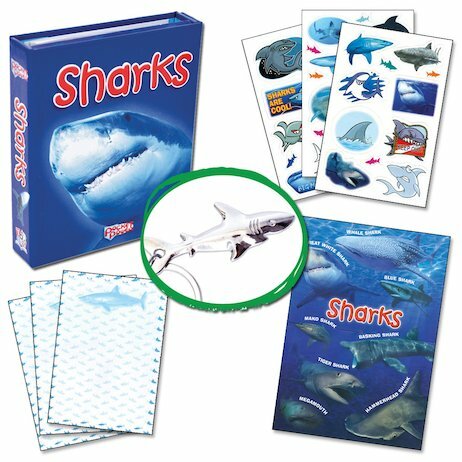 Head for the waves and swim with the sharks – if you dare. Thia is a super little set and I just know my 5 year old will love this little stocking filler. The key ring is good quality and will, no doubt, get attached to his book bag. the book itself is nice and compact and something he can dip into. It also has note lets and stickers – something else to keep him out of mischief.